Art collecting isn’t exclusively the domain of the fabulously rich. It’s possible to accumulate a respectable collection with a very modest budget. Be careful though, the world of art collecting can lure you into dangerous waters. Galleries are bursting with artworks which carry price tags fit to break the bank. Start by setting a budget. If you are serious about your art collection, set aside as much as you possibly can. However, bear in mind that your collection can be built with restricted funds and as long as you stick within your budget, you’ll reap the rewards of financial caution. Don’t forget the golden rule, successful art collecting depends on quality not quantity. It’s better to accumulate a few good investment pieces, than lots of mediocre purchases. Art fairs and exhibitions are superb opportunities to pick up bargains. Steer away from the larger events and look at local newspapers and journals to find dates and events that might suit your budget. Think laterally, if there is a county show or fair, it’s perfectly possible that a local or travelling artist may have a stand in the craft tent. Check listings by local authorities. They frequently advertise art events at venues like libraries, council buildings and civic amenities. The paintings shown often depict scenes or subjects of local interest and more often than not they will be offered for sale at a very reasonable price. Invest some time in targeted research. Find out about local art schools and make sure you investigate any art shows or exhibitions they may be planning and make a date. These shows are full of budget art that are potential early masterpieces. Prolific and professional artists often live and work within close social enclaves. Careful research will reward you with information about towns, villages or areas where you can find a cluster of galleries and studios. These may typically be found in areas of special interest or beauty spots. 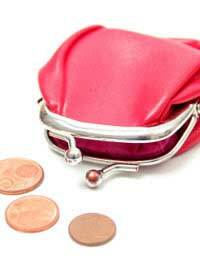 If your purse doesn’t stretch as far as original works, diversify with other examples of art. Things you could look at for your collection include less expensive items like artists’ prints, photographs or etchings. This also works if your collection is based around a theme or single artists. Collecting a variety of art techniques strengthens the diversity and integrity of your collection. Another good route to building up your budget collection is by sourcing artwork from unfashionable or unknown artists. Don’t make the mistake of ploughing blindly into this exercise, though. Make sure your purchases are informed and deliberate. Spend more time researching the market than buying. The aim is to educate yourself and identify artists that are set to dominate the markets in the future. Try and spot trends before they are widely recognised. This means you will need to set up a good network of information and insider tip-offs. Make lots of visits to galleries, studios and curators and tune in to the ‘market buzz’. Of course, this is a speculative approach but it is one that can pay handsome dividends. Thrifty art is actually hugely rewarding on a personal level and with a little experience, it’ll bring rewards on a financial level too.